I first learned about Minecraft a year or so ago when a colleague mentioned that his 12 year old son was engrossed with it. The game focuses on creativity and building skills as players build items using blocks made of different materials, such as dirt, stone, various ores, water, and wood to create whatever they imagine. It can be played in two different ways, in the classic Creative mode or the more popular Survival mode. As of October, 2011, Minecraft has 14 million registered users. 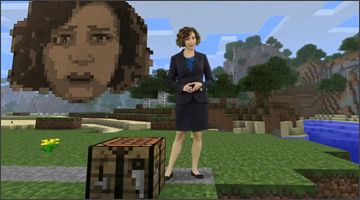 To promote Minecraft:Pocket Edition for Sony Ericsson’s Xperia PLAY gaming platform, comedian Kristen Schaal is looking for (in her words) “a super-genius Minecraft wizard to slave away and build her something so extraordinary that she goes into a coma for half a year”. To enter Minecraft builders are asked to post a video of their creation for Kristen on the Sony Ericsson Facebook page. Surely a few of those 14 million users will step up and make Kristen’s dreams come true. An early entry (the contest is open until November 7) from Josh W. comes complete with a heart-shaped jacuzzi powered by lava from a volcano, as well as a Mount Rushmore featuring both his and Kristen’s face. The contest is open to entries from all 50 Unites States as well as Canada (excluding Quebec). 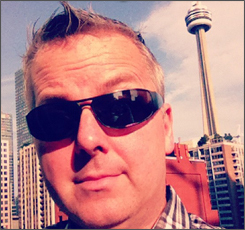 The winner receives a trip for two to New York to New York to meet Jessica Schall in person.